Founded by: George T. Delacorte, Jr.
Delacorte Press is an imprint of Dell Publishing, which was founded in 1921 by George T. Delacorte, Jr. We're uncertain precisely when the imprint itself was founded, however. As an imprint, Delacorte followed its parent company's fate as it evolved from Dell Publishing to the Bantam Dell Publishing Group, owned by Random House. 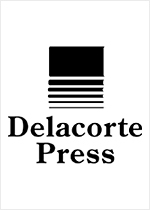 The Delacorte imprint is alive and well, under all that structure, publishing in a variety of genres.